i did this for the Growkit project wich wont be released as a Script. 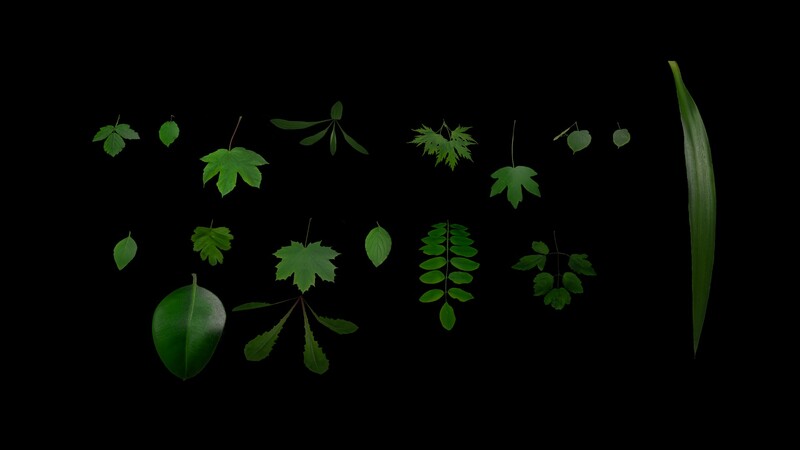 i found a way to use the existing particle system to grow leafs on trees, bushes or the ground. wich is basicly what these UV mapped planes are made for. -Subdivided for basic curved shape. -Pivot point set to the root. -Packed color textures and normal maps. You can use them for trees bushes or plants. If you append the objekts they will be on the last layer. a tutorial on how to use them properly will be uploaded soon. but after a many failed attemps i switched to mega.